Elana Afrika-Bredenkamp is one of the most recognised media personalities in South Africa. This mom-trepreneur is highly influential in social media and one of the country’s most prominent tweeters & Instagrammers. 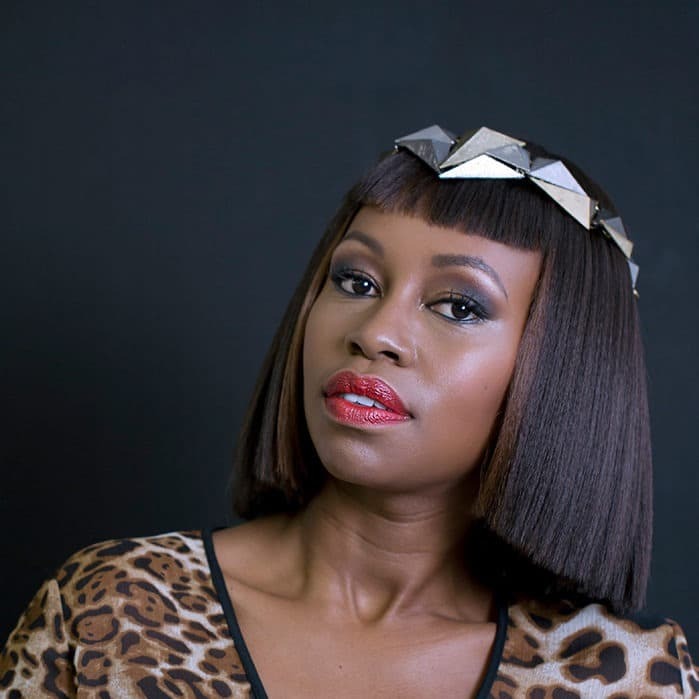 She complements her strength in the digital space with a sizzling lifestyle & fashion blog chocolateface.co.za. In 2017 Elana is the host of kykNET's new hit show Parlement Parlement in which she plays the role of Madame Speaker. Her former TV presenting roles include SABC3's Expresso Show and VIA TV's Coza. Radio has always been her 1st love and she's worked on 5FM, Jacaranda FM and KFM - for which she was nominated for a MTN Radio Award. Other TV-hosting roles include The Road to Miss South Africa and numerous shows for Mnet, Supersport and kykNET. Fashion has always been of keen interest to Elana. She’s a GQ Style Award Winner and recipient of Glamour magazine’s Most GLAMOURous Award. Elana extended her love for fashion by launching the well-known ShoesDay concept to radio and extended it online with #ShoesDay, giving her shoes to her fans via social media. She’s been nominated at the YOU Spectacular awards and won a social media influence prize with Channel24. Elana is in enormous demand on the corporate speaking and MC circuit. Her CSI work includes an ongoing mentorship program with her alma mater, Parow High School. She’s an ambassador for CANSA and the Red Cross Children’s Hospital. Elana is a keen golfer with honorary membership at premium golf courses in Johannesburg and Cape Town and serves as an ambassador for SA Brandy Museum. An astute businesswoman and university graduate, Elana launched her first range of wine in 2014 - “Elana Wine” - a boutique range of Shiraz produced in the Durbanville Wine Route region, raking in a Gold Michelangelo award.